The United States executed its second round of deportations to Haiti last week, against both the recommendations of the Inter-American Commission on Human Rights and the urgings of human rights organizations. The government deported a total of nineteen men, some of whom are reportedly suffering from serious illnesses. Now, almost two weeks later, it is believed that the United States soon will deport yet another planeload of Haitian men, men destined for the same fate as previous deportees. U.S. immigration policy toward Haitian nationals continues to wreak havoc in the lives of many Haitians and their families in the United States. More than 700 Haitian nationals living in the United States and their families now face an uncertain and precarious future in light of the Obama Administration’s recent change in policy to resume deportations to Haiti. 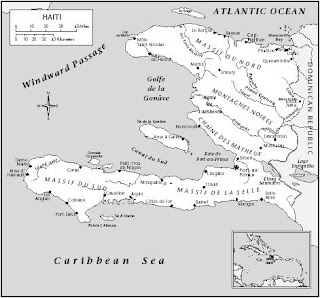 Shortly after the earthquake in January of last year, the Administration had suspended deportations to Haiti on humanitarian grounds. 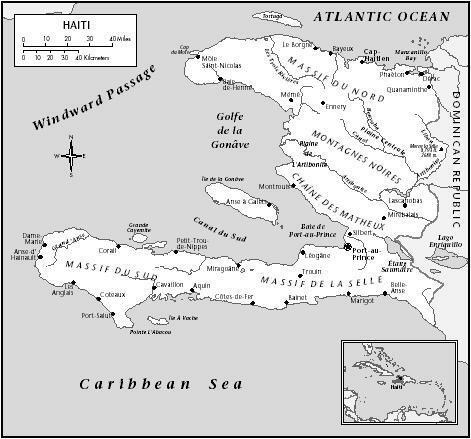 However, citing improved conditions in Haiti, and asserting its sovereign rights to control immigration, the government has reversed its suspension, and has deported a total of 46 men to Haiti since January of this year. An article in the Los Angeles Times reports that there are plans to deport approximately 700 Haitians this year alone. Contrary to U.S. assertions, one year after the earthquake, Haiti continues to face acute challenges, and its government remains unable to provide basic services to its nationals. As a New York Times highlighted article highlighted, approximately 680,000 people still live in displacement camps throughout the country. Additionally, authorities continue to battle a cholera epidemic, which is expected to affect almost 800,000 people this year alone. Given the dire conditions in Haiti, the U.S. government’s decision to resume deportations has proven deadly. Wildrick Guerrier, a Haitian man deported on January 20, died from cholera-like symptoms just a few days after arriving in Haiti and being placed in a jail. Upon arrival, and contrary to Haitian law, deportees from the United States are detained in jails and forced to endure dehumanizing conditions. Members of our team – which is composed of the University of Miami School of Law Human Rights and Immigration Clinics, FANM/Haitian Women of Miami, Center for Constitutional Rights, Florida Immigrant Advocacy Center, Alternative Chance, and the Loyola Law School Center for Social Justice – traveled to Haiti in February to document the conditions and interviewed some of the deportees who were part of the January deportation. The deported men reported that the jail cells in which they were held were filled with vomit and feces and had no working sewer system. The deportees were held for days without water or food and had to rely on relatives living in Haiti, if they even had any, to provide them with food and water. Some of them became ill from the unsanitary conditions and were denied medical care while in jail. The inhumane and dangerous conditions in Haiti’s jails pose a particularly grave concern for Haitian women in U.S. detention awaiting deportation. The Haitian community in the United States, already devastated by the earthquake in Haiti and by the loss of family members there, must now face the destabilizing force of continued deportations and begin to cope with the separation of more of its families. Additionally, the newly elected President of Haiti, Michel Martelly, has called on the United States to halt deportations. It is time for Washington to also take notice and suspend deportations to Haiti until conditions in the country are truly improved and no longer pose a threat to life.